In Jane Austen’s Pride and Prejudice, Fitzwilliam Darcy’s proposal to Elizabeth Bennet at Hunsford is disastrous. 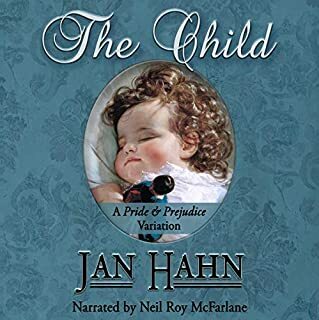 In Jan Hahn’s The Child, Darcy flees England soon afterward, striving to overcome his longing for her. Upon his return two years later, while standing on the steps of St. George’s Church in Hanover Square, he spies the very woman he has vowed to forget. But who is the child holding her hand? 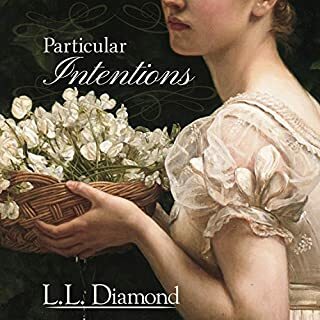 A Pride and Prejudice variation set primarily in Derbyshire, this Regency-era romance explores how the destiny of Jane Austen’s characters will be fulfilled even when all of the odds are stacked against them. Fitzwilliam Darcy was looking for a wife, not love. He had everything he needed to be happy. A wife would provide him with an heir, and if he was lucky, she would not interfere too greatly in his life. Then, fate put Elizabeth Bennet in his path - destroying his tranquility. Now, in addition to trying to find a bride, he must deal with a stubborn, impertinent troublemaker who doesn’t seem to understand her place. Will Elizabeth destroy his chance at happiness, or will she be the making of it? I love "Pride and Prejudice" by Jane Austen. 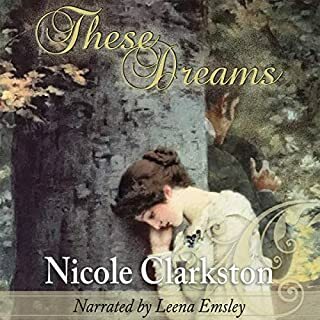 I also love retellings and spins offs of Austen's work, but often find authours do not make their stories unique enough that instead of focusing, I end up letting my mind wander and do not pay the best attention while listening/reading. "Betrothals and Betrayals" by Cinnamon Worth is an amazing, funny, unique, totally different, and shocking telling of Austen's "Pride and Prejudice". From the first to last chapter I kept noticing huge differences in the story line. It doesn't even start from your typical start point. It captured me from the first chapter until the very last. It keeps the integrity of the characters with a varying story line. For instance, Mr. Bennett has died. You find out more about this and when you do, your jaw will drop like mine did. Elizabeth and Georgiana meet while they are both out walking for various reasons. There are amazing scenes that happen between Darcy and Elizabeth in the library or at a special tree. This book has lots of funny humour just like Austen's novels do. I don't think I have ever read such a unique retelling of Jane Austen's work and that is what I loved about this book. I have already shared it with others and I cannot wait to return to it in the future. Megan Green also does a great job with the narrations. She has a unique and pleasant voice and I love the speed she performs at. I received this audiobook at my request and I provided this voluntary review. All opinions are 100% my own. I am an avid reader of Pride and Prejudice variations and this story did not disappoint. It was a slow burn at the beginning but I loved the way the author set up the characters, back stories and confusions necessary for a good revelation at the right time! I usually read these types of books but having a great narrator like Megan really helped to envision the characters and kept the story rolling, I love listening to the way a narrator brings a story to life and Megan is great at this! 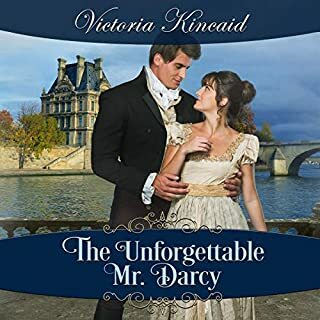 I loved all the characters in this especially Georgiana who had a much bigger role than usual and some of the loveliest scenes I’ve read between Mr Darcy and Elizabeth were in this book. 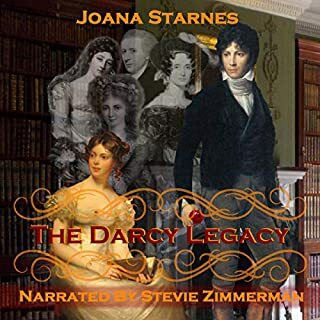 I would definitely recommend it to other P&P fans and anyone who loves historical and Regency novels. Fitzwilliam Darcy knows he must marry and has a short list of suitable ladies to propose to. Passionate love isn't a huge concern, as he aims for a marriage that could be comfortable and sturdy instead. He doesn't want to take a gamble on feelings when he could have the stability of facts. But none of choices work out, leaving him more annoyed than heartbroken. 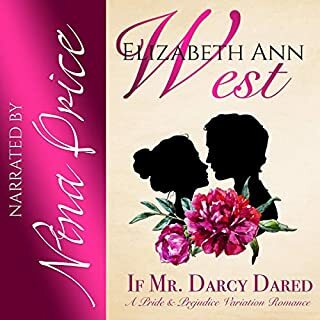 And when he returns to Pemberley to "woo" the brother of a potential bride, he's faced with his biggest challenge yet, the formidable Elizabeth Bennet. Elizabeth Bennet has resigned herself to spinsterhood, unwilling to live on the charity of her relations. She decides to spend her life as a companion or governess, giving up on love and the idea of a family of her own for the stability of a wage. One cold day she meets Georgiana Darcy, a young heiress with a heavy weight on her shoulders. Soon, their complicated relationship brings Elizabeth towards the future she never thought she could have. Darcy and Elizabeth enter into a timeless tango. Both are strong-willed and have a very specific idea of what love is and how they want to spend their lives. At first, they want nothing more than to be rid of each other, but we all know how the story goes! I don't want to spoil anything, since there are plot points that are different than the original work. But some of the storylines seemed to just end or disappear with no warning or explanation. You're left wondering what happened to one character while trying to unravel the twisting lives of those in England's high society. It's nothing too major, but I would have liked some clarification in regards to some things. Books like these are where Megan Green shines! She was born in the south of England, giving her the perfect voice for a classic work. Sometimes narrators take on projects with accents they're not familiar with, leaving you with a botched attempt at a western twang or an Australian one that makes you cringe. But Green uses her natural accent to create well-rounded voice for everyone in Austen's world. I love Pride and Prejudice and I must say that this is one of the best variation I've ever read or listened to. ❤ So sweet and romantic. So perfect! Well, what can I say? He's Mr.Darcy! The narration by Megan Green is superb! I love how she made life to the characters with her voice. Kindle Customer Maggie. Love of Jesus and His Blessed mother will be engrained into your soul. I have. A quantity of audible books, but never remember being so disappointed in the narrator. I believe the story will be a good one so I am going to order the e-book for my kindle. So sorry. Listen to the sample before the purchase. The voice and performance of the narrator is not for everyone. I have problem to enjoy it. I am sorry to say, have I listened a sample I wouldn't purchased audiobook, but ebook version of this story. 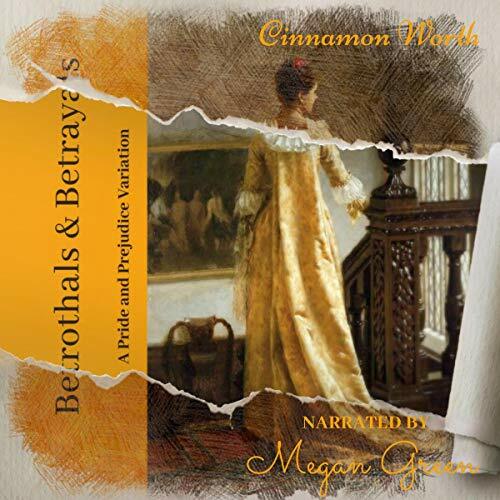 Betrothals and Betrayals by Cinnamon Worth and Kay Springsteen is a sweet regency story that is reminiscent of Pride and Prejudice in its imagery and characters. Megan Green performs this book so fittingly. She gives the characters life. This is a fitting tribute and continuation to the beloved Jane Austen's characters. I requested this review copy audiobook and have voluntarily written this review. I will definitely listen to more books by the authors and narrator. I got a bit lost!! This was a little hard to follow. I wasn’t sure in the beginning if I could keep up with who was who, but I got there in the end. Megan made this book a 4 star for me.